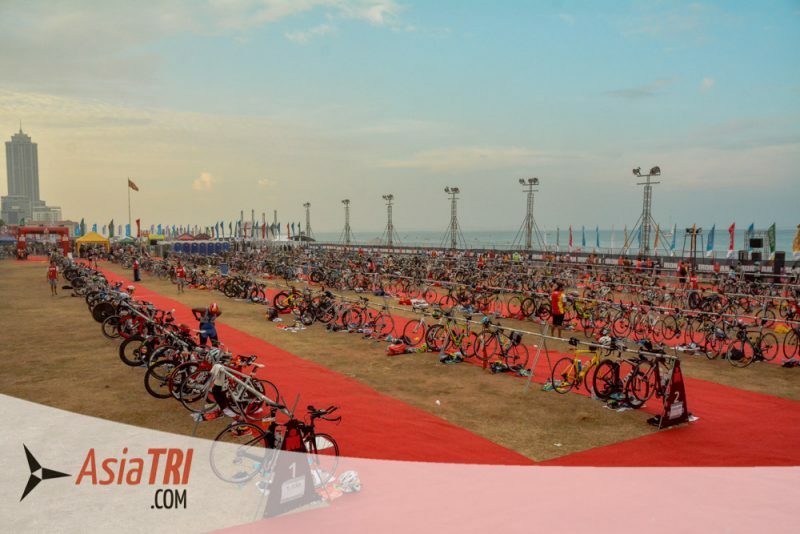 The Ironman 70.3 Colombo was not the first of its kind in the city. Back in 2011, there was one race that failed in terms of safety and logistics for the athletes. After a seven-year hiatus, the new organizers wanted to get it right and the general consensus was that the mission was accomplished. 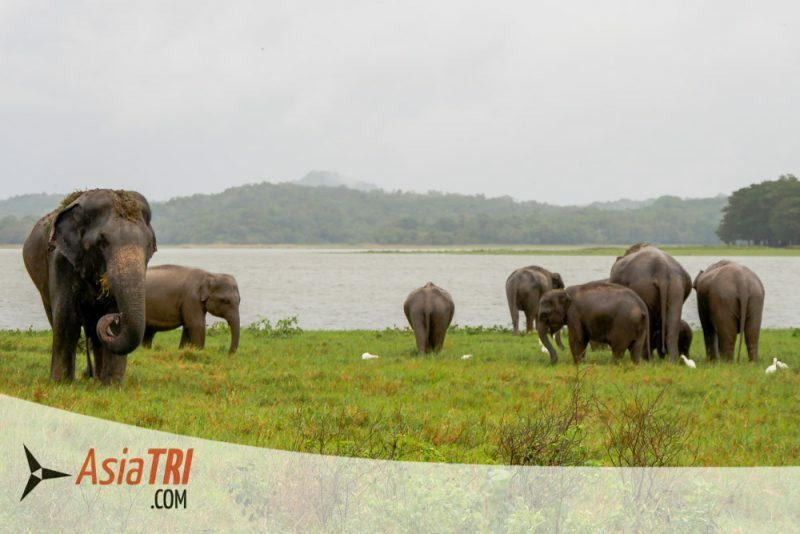 The organizers have been traveling in the region to other Ironman events for several months to learn and adapt what could work in Sri Lanka and the strategy worked well. Ironman Asia also supported the race bringing several of their operation staff to the event and also some of the Ironman Australia staff, including the medical and safety teams. The venue also helped to make this a good experience to the participants, many athletes saw their new PB on race day (especially on the bike leg!) and Colombo itself is a relatively small city but with plenty of conveniences and attractions. In terms of accomodation, the hosting hotel, where all the pre and post race activities are held, is the Shangri-la, which is also just across the road from the race venue. Athletes who prefer a more budget option, there are plenty of options within walking (or cycling) distance to the race venue. 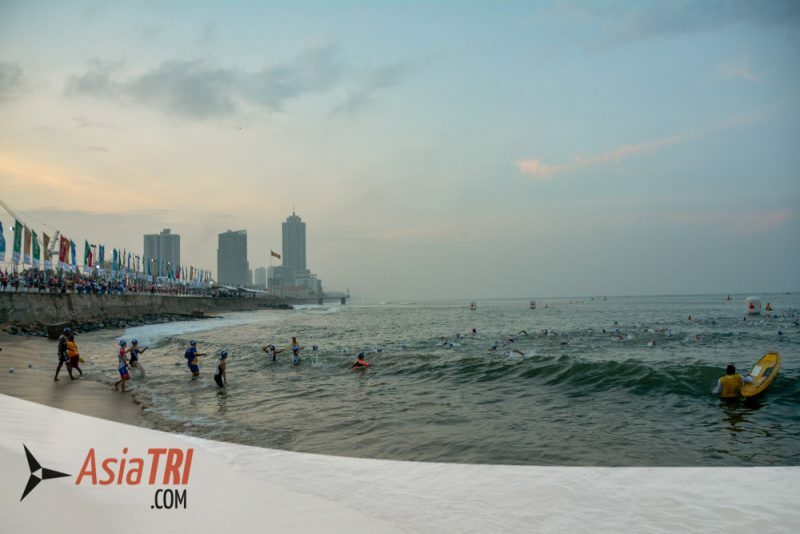 The swim will begin with a rolling start from the beach in front of Galle Face Green, a park where the transition area is and right in front of the hosting hotel. Athletes will swim a 1.9km counter-clockwise, triangular course. It is expected to be a non-wetsuit swim, with race day water conditions averaging a warm 27˚C. The warm waters, while nice, can also be a tricky component of your race strategy, if you don’t handle the heat well you will leave the water already warm and that will only continue to go up through the race. Plan your pacing accordingly and keep an eye on hydration. Swimming at the race venue is prohibited other than one day before the race, plan your training accordingly in your hotel pool in the days leading into the race. Organizers also displayed a water quality test they did leading into the event to give athletes peace of mind they are swimming in safe waters. In 2018, the swim times were slower than one would expect, not many athletes were able to break 30min for the swim, and in a normal condition race, you would see plenty below tht mark and some going mid tweanty minutes. The exact swim course is always relatively unpredictable and it is normal to be affected by a small margin of error when marking the course (as GPS´s aren´t 100% accurate). 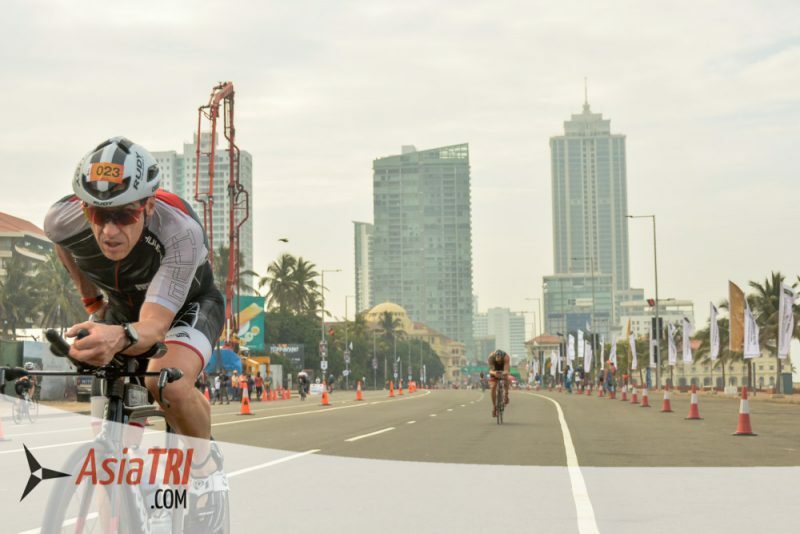 The flat and fast 3 loop, 90km bike course will turn left out of transition at Galle Face Green, and onto Galle Road heading North towards the Port of Colombo – one of the most historic trading harbours in the world. After riding along the harbour breakwater, athletes will head south, towards Marine Drive where they will make a right turn and enter the 10km time trial zone. Cyclists will enjoy views of the Indian Ocean as they head towards the Dehiwela Canal Bridge to complete 1 of 3 laps. 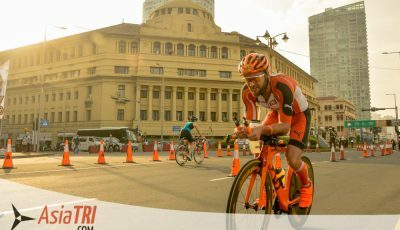 Sri Lanka is one of the windiest countries in Asia and Colombo is no different, the windy was gusty since it came from the city, and when athletes were exposed to it in between buildings, it became a factor on how well you would handle your bike. For this reason, we would not recommend a disc wheel for ligther athletes, despite the fast and flat conditions. While for most of the course you will be riding with a side Wind, there are also sections where the Wind will help you or you will be riding into a head Wind. Other than strong winds, there are very little other challenges, a few athletes thought the u-turns and turns on the course were technical and narrow, but for most of the time in this course, you will be riding on the aerobars at a fast speed and on flat roads. And while in 2011 the race failed in terms of safety and road closure to the local traffic, in 2018 this wasn’t an issue. In fact, this is one of the safest rides one can do in this part of the world, with the roads 100% closed to all vehicles other than the organizers and draft marshalls. Drafting was not an issue in 2018, we hope to see it this way as the race grows and athletes start to get closer to each other. The Wind that bothered you on the bike is likely going to help you on the run. The temperature on race day got to low 30s Celcius, a bit warmer than the day before and the day after. So it will be a hot race regardless, but not as hot as some other events in South East Asia. The flat run course is a 2 loop, 21.1km course heading South out of transition along the picturesque Indian Ocean. Runners will then make a u-turn outside the Galle Face Hotel before heading North towards the Harbour Breakwater. 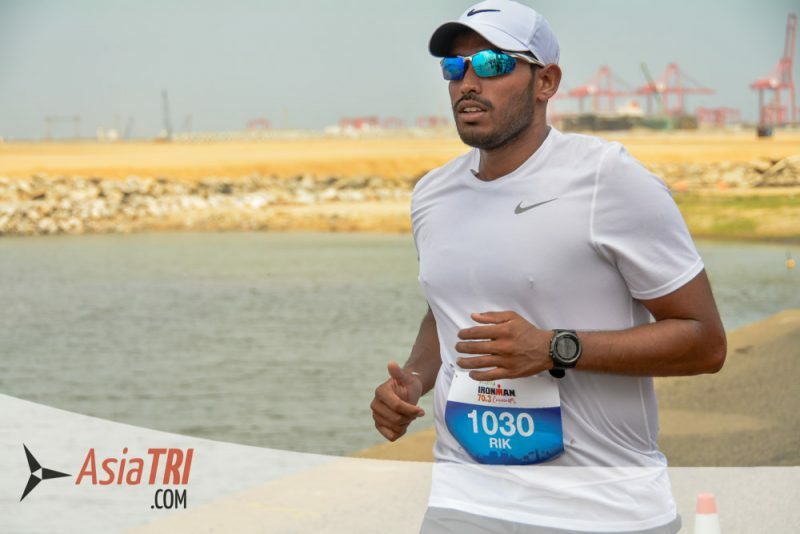 Athletes will then make their Northern U-turn halfway along the breakwater and return South towards the Galle Face Green. Once athletes pass the transition area heading South, 1 lap has been completed. Runners will then complete the course again before heading towards the Finish Line at Galle Face Green. There were plenty of aid stations on the course with ice, gels, sports drinks and several athletes reported the local volunteers were highly energized and cheering for them. 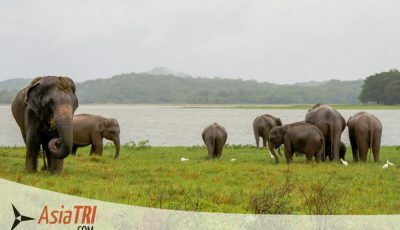 Our team was invited by the Sri Lanka Tourism Promotion Bureau to follow some of the participants of the race on a post event tour around the country. The idea is to make Ironman 70.3 Colombo a destination race, when the participants will explore the country after their main event. Read the full article HERE.